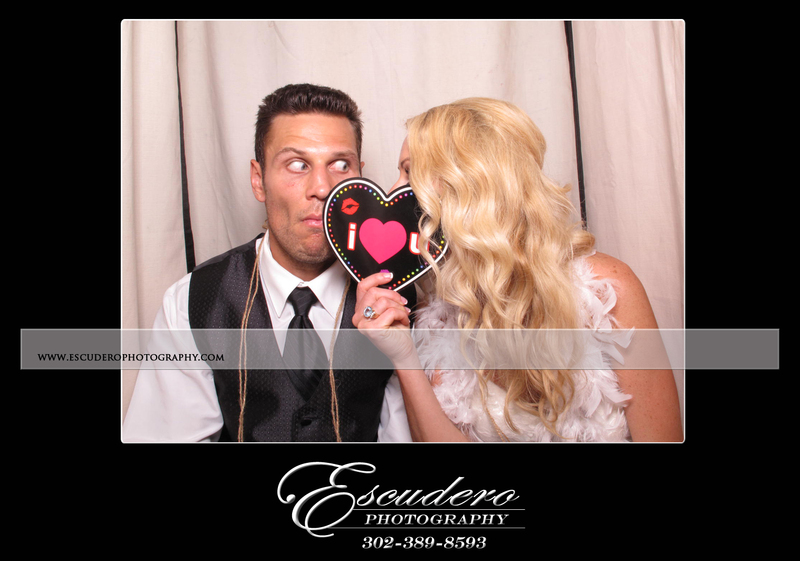 Ashley and Riley rented our photo booth for their elegant wedding reception at the marvelous and renown Hotel DuPont on August 10th, 2012. 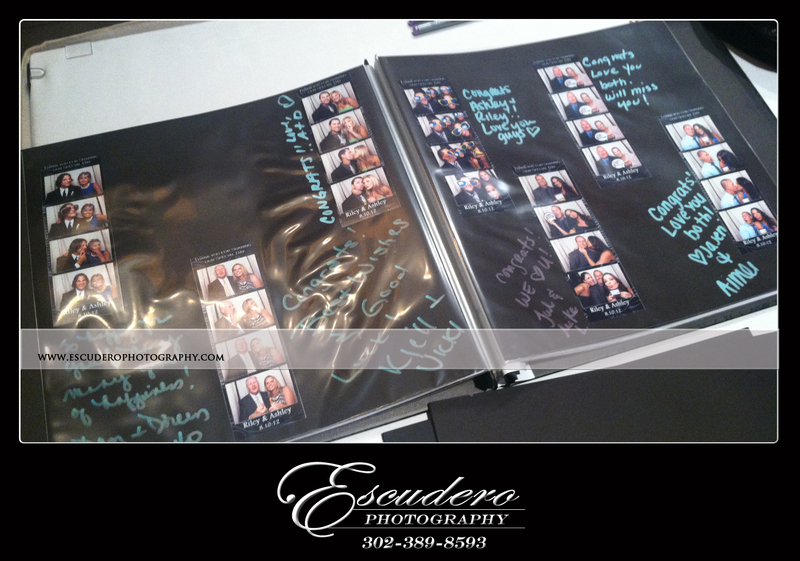 The guests enjoyed using our props, leaving messages for the bride and groom in the album, and laughing the night away in the photo booth. Ashley and Riley loved being able to jump in and out of the booth with ease to accommodate the guests need for more and more photos as the night went on. 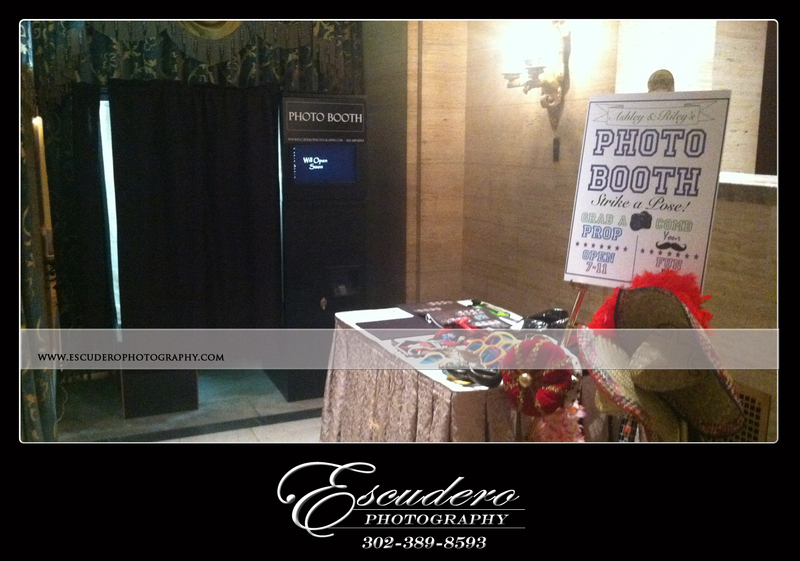 Escud ero Photography was happy to be a part of the reception at Hotel DuPont. We have been there before renting our photo booths and being hired as professional photographers; we always adore coming back to such a stunning location. 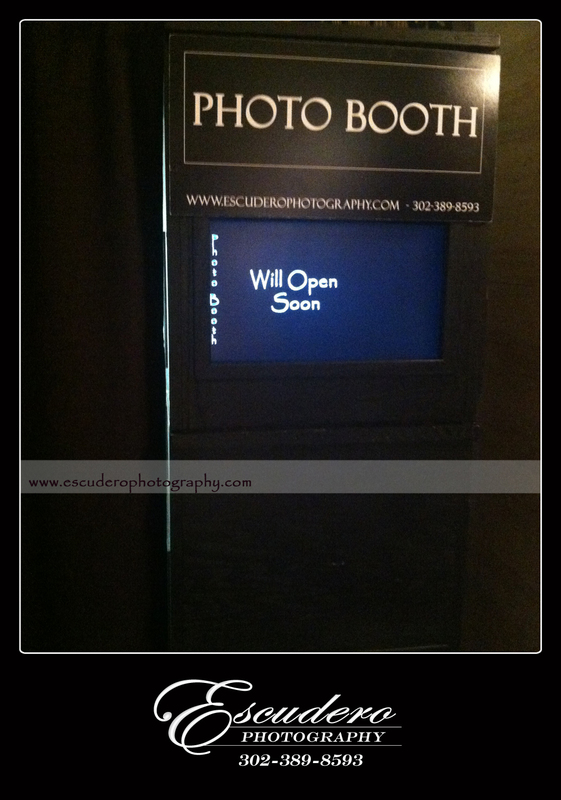 Our photo booth’s portability came in handy yet again this weekend! The Hotel DuPont has many different rooms, hallways, and floors that some booths are not capable of navigating. We were able to set up our booth with ease! We were able to stay quiet and efficient, as to not interrupt the other events taking place at the hotel. A great advantage in addition to the transferability of our booth, is the fact that it fits right into the sophistication that Hotel DuPont exudes. The handcrafted wood has been stained black and is very stylish and classy in any setting. It was such a pleasure to be a part of such a lovely wedding reception. Check out all the photos from their photo booth rental on our YouTube channel. Contact Escudero Photography for more information. This entry was posted in Photo Booth and tagged delaware, delaware photo booth rental, delaware photographers, delaware photography, delaware wedding photographer, delaware wedding photography, hotel dupont, Hotel Dupont wedding photography, photo booth rental delaware, photographers, wedding, wedding day. Bookmark the permalink. Wow that is so beautiful and amazing ..
plz keep it up .. ! !